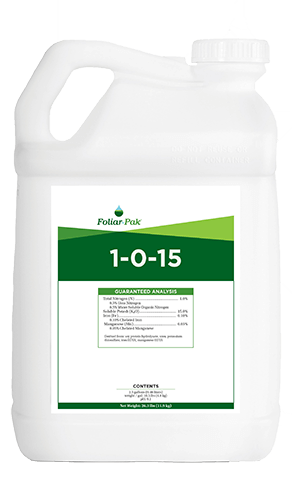 Foliar-Pak® 22-0-4 is specifically designed to provide immediate and lasting nutrition to high quality turf. 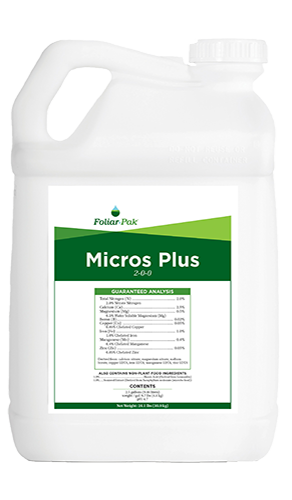 Foliar-Pak 22-0-4 provides a consistent release of nitrogen to the plant, perfect for higher cut turf. This formulation provides a unique balance of macro and micronutrients resulting in an immediate and long-lasting color response. 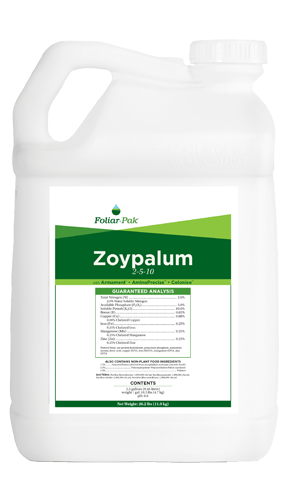 Foliar-Pak 22-0-4 is a great tank mix partner that provides an extended color response on higher cut turf. 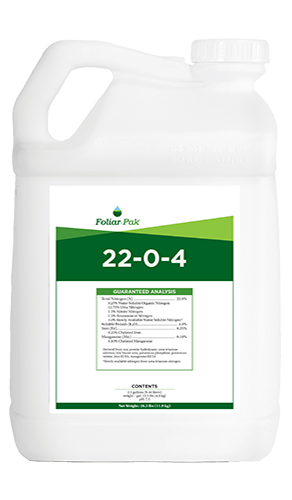 Foliar-Pak 22-0-4 contains iron and manganese to increase color and photosynthesis. 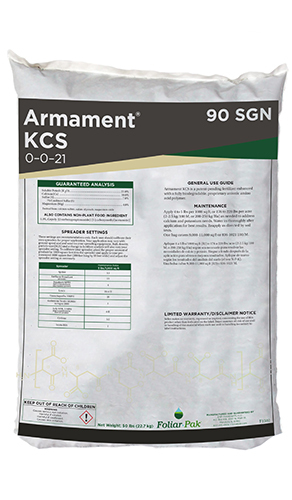 Foliar-Pak 22-0-4 contains a complete amino acid package at a concentration level appropriate for use on higher cut turf. Triazone urea increases overall foliar performance and length of color providing a growth response ideal for fairways and higher cut turfgrass.